Nine lithographs and linocuts, with occasional watercolour and pencil drawing by the artist. Accompanying eight poems by Lebogang Mashile. 47 x 38 cm. Edition of 15. The solander box for the book was created by Lunetta Bartz, Johannesburg and produced by Buchbinderei Adolphs, Düsseldorf. Printed by Mark Attwood, Leshoka Legate and Jacky Tsila at The Artists’ Press in White River, South Africa, co-published by the artist and David Krut Projects, Johannesburg, Cape Town & New York, 2012. €8500. 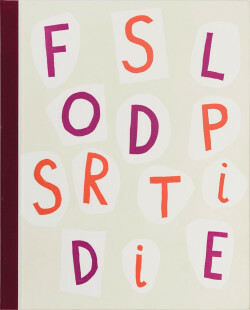 Jürgen Partenheimer, cover of the artist book Folded Spirits (2012). Edition of 15. 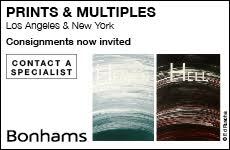 Co-published by the artist and David Krut Projects, Johannesburg, Cape Town & New York. at the tables of opulence. Partenheimer’s preliminary visual impressions in the diary—drawings in pencil or ink—established his restrained aesthetic response to this vivid and unsettling territory. Shortly after his arrival, the artist visited David Krut and Alastair Whitton at David Krut Print Workshop (DKW) at Arts on Main in downtown Johannesburg (an arts center in a converted early 20th-century warehouse), and discussed ideas for two projects that would complement the body of drawn work produced during the residency. (Partenheimer’s South African Diary, consisting of some 60 drawings and watercolors, was exhibited at NIROX Projects, the foundation’s exhibition space, also at Arts on Main, in November 2011.) On a subsequent visit to South Africa in May 2012, he completed work on a suite of six prints in collaboration with Jillian Ross and Mlungisi Kongisa at DKW and on Folded Spirits, an artist’s book adapting images from his diary, with Mark Atwood at The Artist’s Press in White River. Of the celebrated South African poet whose work became part of Folded Spirits, Partenheimer wrote, “A discovery/Lebogang Mashile/poetess of the tenebrous light.”3 But this is a bit of poetic license— Mashile’s work was hardly obscure—and, as with his previous residencies in Europe and South America, Partenheimer had explored the literature of the country before he got there and had decided he wanted to meet her. The eight poems in the book are taken from two collections of Mashile’s work: In a Ribbon of Rhythm and Flying above the Sky.4 Here both Partenheimer and Mashile eschew formal narrative and representation in favor of austerely evocative abstraction. 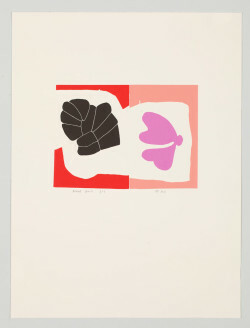 Jürgen Partenheimer, Folded Spirits II/1 (2012), four-color linocut, 26.75 x 20 inches. Edition of 15. Printed by David Krut Workshop, Johannesburg, published by David Krut Projects, Johannesburg, 2012. “Seeds & Tracks/Sources and trails, roots and traces.”6 The idea that we leave seeds and tracks wherever we go informed the title of the original project at NIROX and also forms the basis of the images in Folded Spirits. Partenheimer’s reticent and deliberate mark making conveys the sense of a powerful visceral response distilled into something intimate and subtle. In the nine lithographs and linocuts that comprise the book, abstract forms—some suggesting twigs, leaves, or seeds; others, nothing recognizable—are dispersed on pale grounds. There is considered beauty in these pages, among them a curiously wintery spread showing tracks of irregular pale-pink lines on a light-gray ground—these cannot be tracks in the snow (surely not in Africa)— but Mashile’s words on the page speak of “Winter mornings hoping/That somewhere past forever/the world is listening.” On another spread, bare twig-like forms resemble ranks of little winter trees. Jürgen Partenheimer, spread from Folded Spirits (2012). 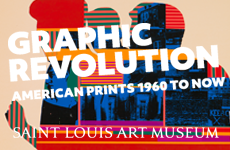 The artist’s expressed love of children’s books is also evident in Folded Spirits, especially on the cover of the box that houses it, where the title appears as a jumble of colorful linocut letters. 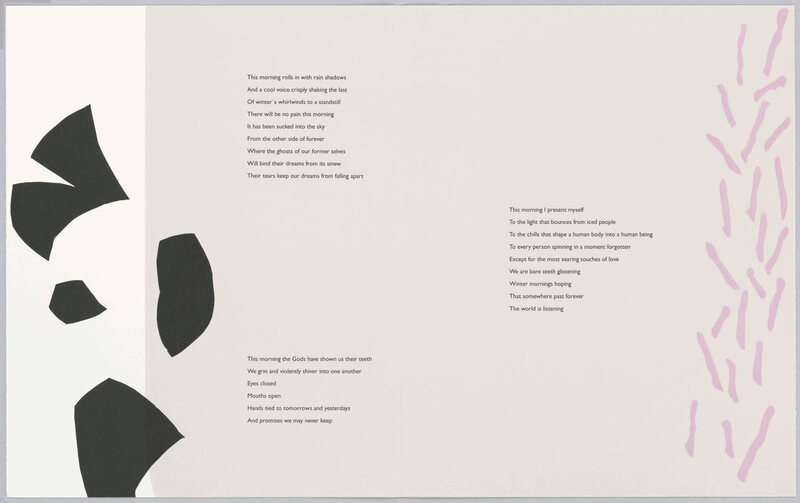 Within the book short sentences and single words are deployed alongside images that might be described as whimsical. Inevitably, and against one’s better judgment, those pale pink tracks of indefinable origin bring to mind the hunt for the Woozle in Winnie the Pooh. (“Tracks,” said Piglet. “Paw-marks.”… “Oh, Pooh! Do you think it’s a-a-a Woozle?” “It may be,” said Pooh. “Sometimes it is, and sometimes it isn’t. You never can tell with paw-marks.”) In spite of Partenheimer’s insistent obliqueness, the work is immensely rewarding—not least for the fancies conjured by the still spaces and mysterious trails of his discovered landscapes.